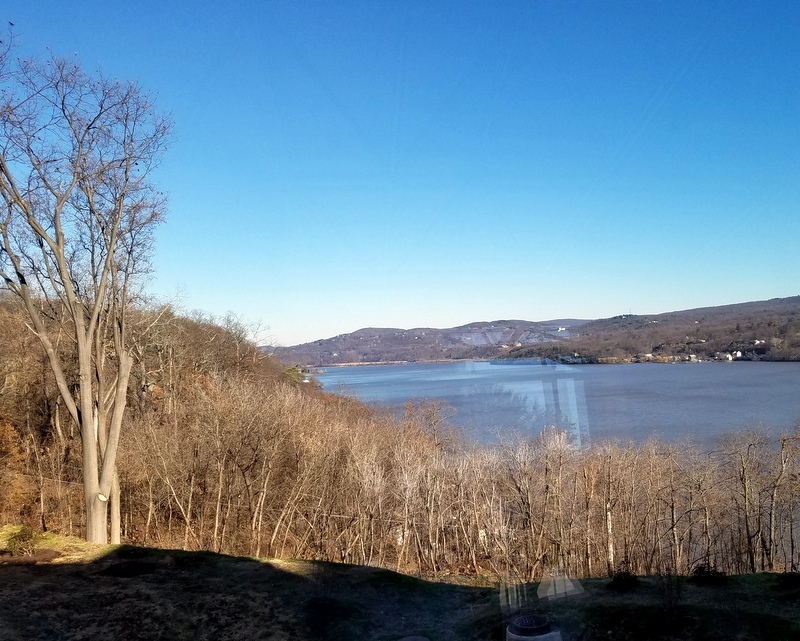 This view was taken through the window of the West Point Military Academy Reception Building. 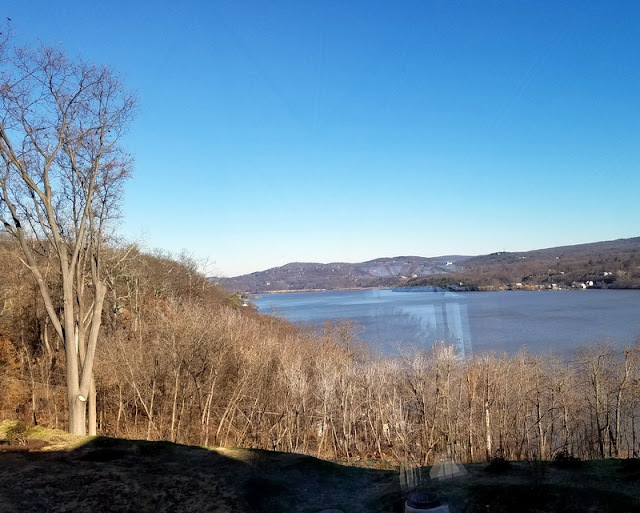 The history of the United States Military Academy can be traced to fortifications constructed on the West Point of the Hudson River during the American Revolutionary War in 1778. General George Washington considered West Point to be the most important military position in America, stationing his headquarters there in the summer and fall of 1779. This is a totally different view. 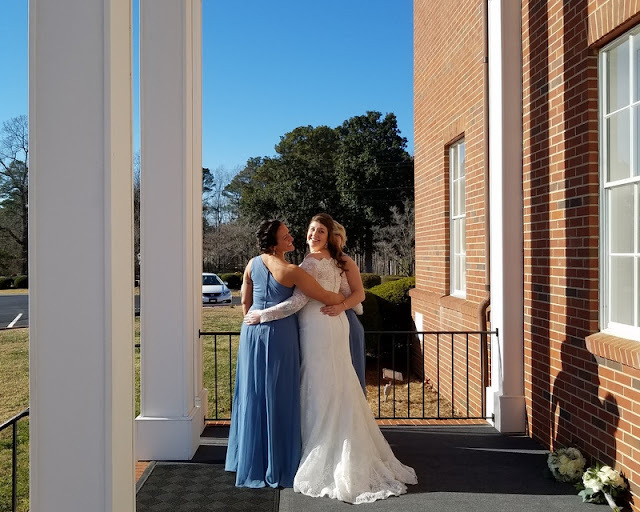 My granddaughter Erin was married on 1/6/2018, in NC. You can't tell by this photo, but it was 20 degrees when this photo was taken. It did warm up to a balmy 27 degrees that day. Linking up with One Word Sunday hosted by Travel With Intent. Lovely lake and a beautiful bride.